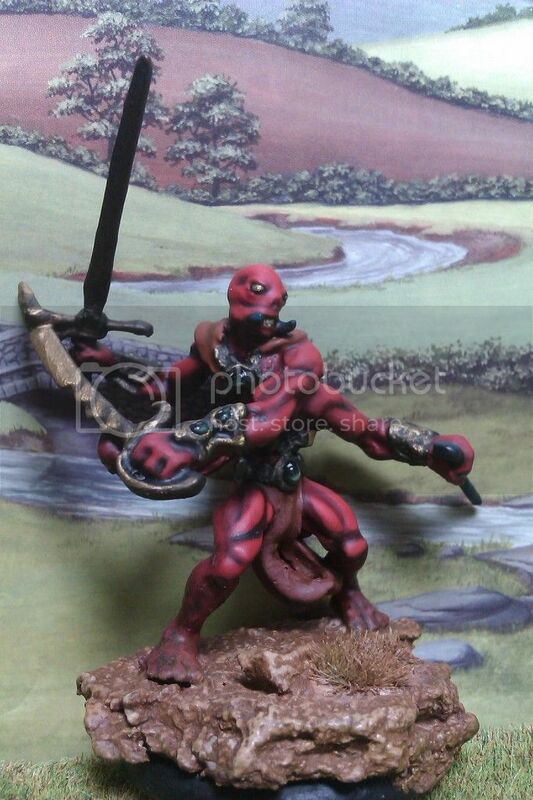 Lovely multi-part miniature from the genius at Bronze Age Miniatures. Used this chap as a thikreen for a Dark Sun campaign I played in. I botched this attempt at zenithal (with spray can) highlighting by using a dodgy varnish. I saved it somewhat by re-painting. Not great, but it'll do. If I have the same problem, I've heard olive oil can help! I'll be sure to rub myself down like a turk before painting next time.